The founder of cognitive therapy and two colleagues apply the concepts of cognitive therapy, used successfully in treating depression, to the treatment of anxiety disorders and phobias. 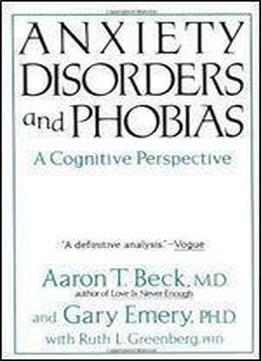 Part I shows how the activation of specific nonadaptive cognitive patterns leads to the complex symptoms of generalized anxiety disorder, agoraphobia, simple phobias, and the evaluation anxieties. Part II shows how distorted perceptions of threat and danger are corrected through cognitive restructuring, relaxation, and distraction techniques and through such behavioral methods as exposure therapy and activity scheduling.